Sorry I'm not posting more. Trust me, life is way to busy right now!! 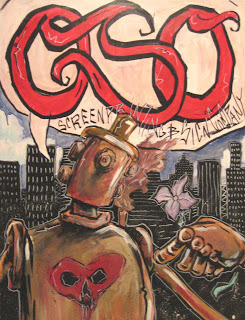 Here is the OSO Gallery sign for the next gallery show at the end of this month. I have tons of news, so I'll be getting back here soon to tell everyone! !